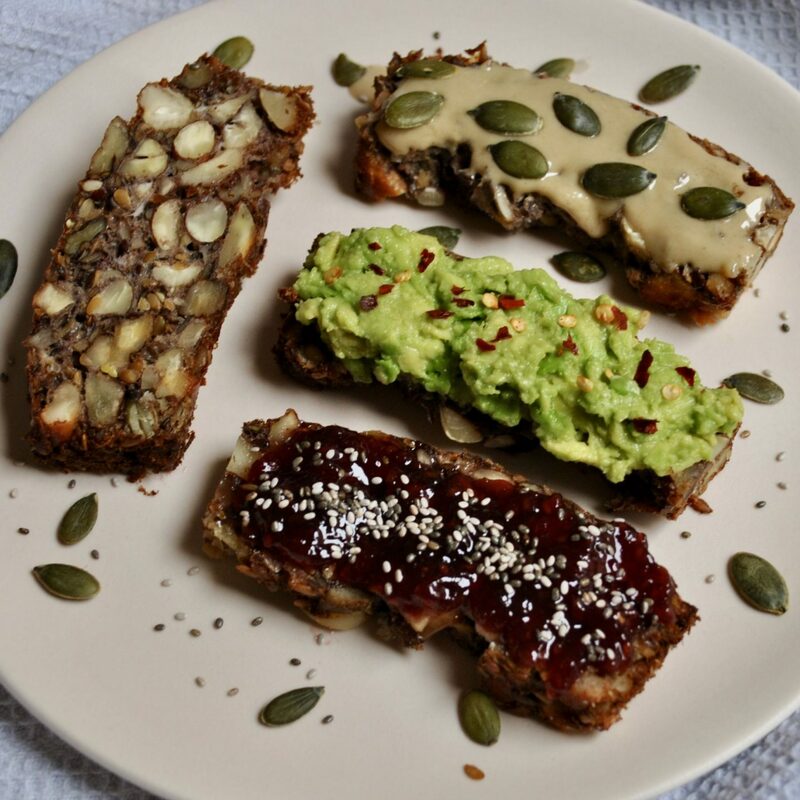 If you managed to read the whole title, yes it’s true – I really have developed a recipe for a loaf of bread that is gluten free, grain-free, dairy free and suitable for the paleo diet. So if this Flourless Nutty Bread is free from so many ingredients, I’ll bet you’re wondering what IS in this loaf?! 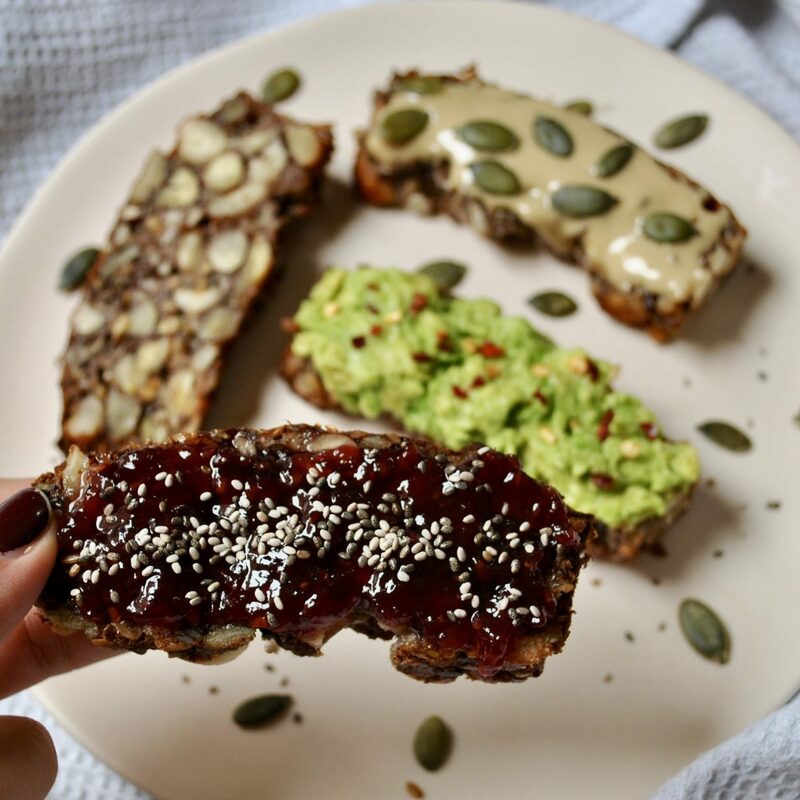 It’s jam-packed with all sorts of nuts and seeds, and the beauty of this recipe is that it’s incredibly versatile – you can use any nuts and seeds you have lying around and play around with the suggestions I’ve given to suit the ingredients you have at home! 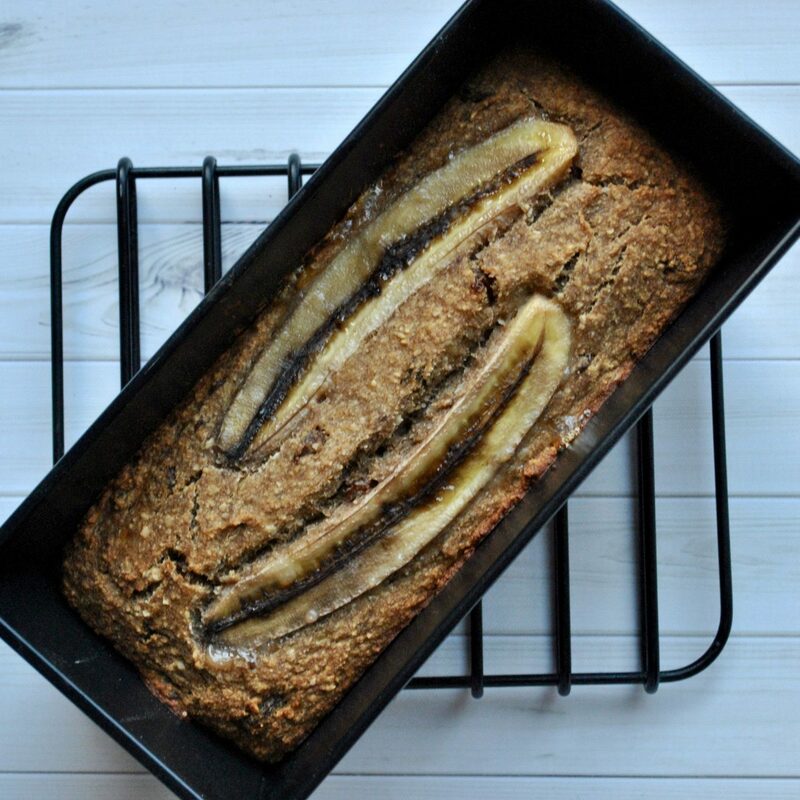 Once you’ve tried this recipe, I can guarantee it’s one that you’ll keep coming back to again and again, both for its flawlessly dense texture or simply the enticing malty smell of it baking, which is enough to make my mouth water. It also freezes really well making it easy to have on hand when you want a quick breakfast or snack! The best part is that it’s actually good for you! 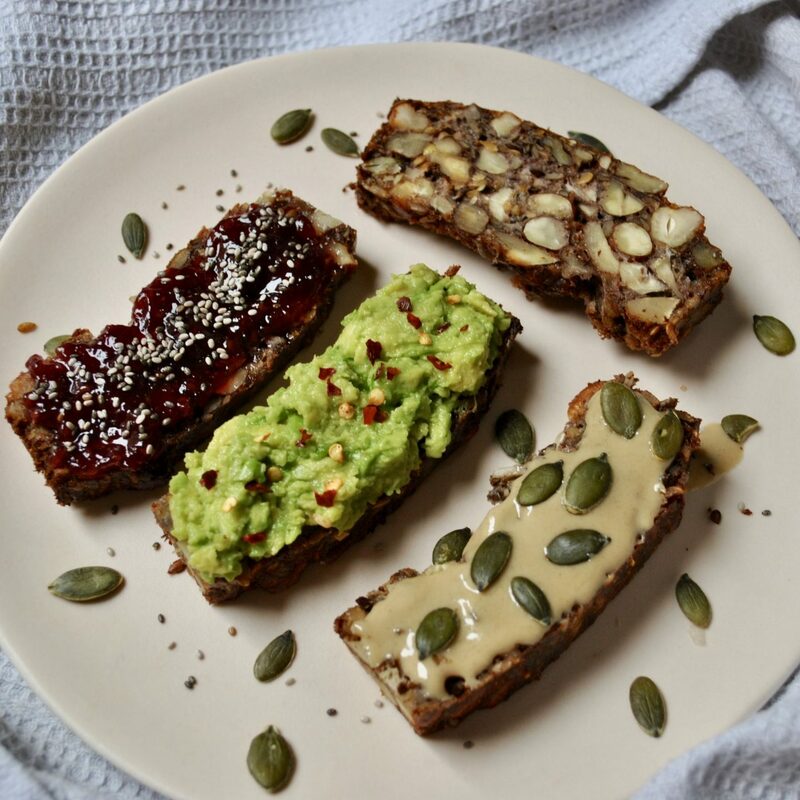 Not only is it very low in carbs and free from refined sugar, it’s loaded with protein and healthy fats, and extremely high in fibre thanks to the psyllium seed husk powder, which stands in for the flour to hold it all together. This may sound like an unusual ingredient but it’s available in all major health stores. I love serving this bread toasted, alongside a selection of spreads and dips, such as guacamole, classic hummus, roasted red pepper hummus, Greek fava bean dip and Baba Ganoush (smoky aubergine dip). Of course, this bread pairs equally well with sweeter spreads, from Walnutella (chocolate walnut spread) to my famous Sticky toffee date caramel spread! Pre-heat the oven to 160 C and line a loaf tin with greaseproof paper. In a large bowl, mix all the dry ingredients together. In a separate bowl, mix together the eggs, oil and maple syrup. Combine the wet and dry ingredients and stir well. Pour the mixture into the lined tin and bake for 50 mins. Allow to cool in the tin before turning out and slicing. Inspired the “Life-Changing Loaf of Bread” by My New Roots and “Gut Makeover Bread” by Jeannette Hyde.